Looking for a different sparkling wine this New Years Eve, and beyond? A bottle that will spark interest and conversation, and surprise everyone with its quality? Here are a couple of unconventional choices, from France and Israel, to celebrate the season, and drink throughout the year. Long before Champagne was created, the Benedictine monks at Saint Hilaire Abbey in the south of France produced sparkling wine. In fact, Blanquette de Limoux is considered the world’s first sparkling wine, bottled in cork-stoppered flasks as far back as 1531 AD, and rumored to have been the inspiration for Dom Pérignon. Today, Jean-Claude Mas of Domaines Paul Mas is leading the charge for fine winemaking in the Languedoc region of southern France. 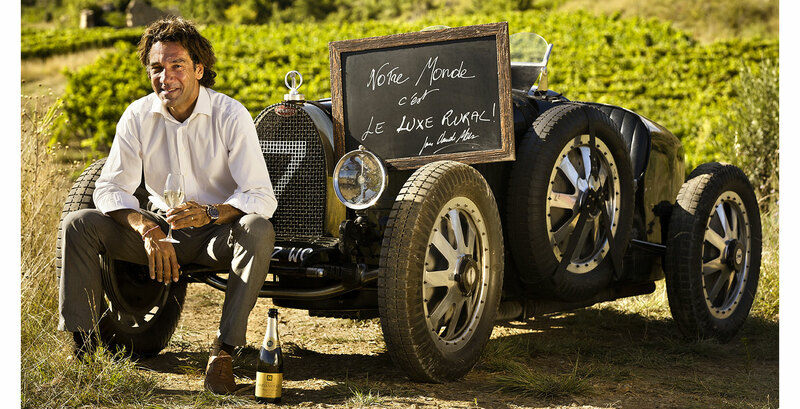 Sourcing the best quality fruit from fellow winegrowers, he has elevated the brand, producing high quality wines that are authentic to the region, and reinforced the concept of wine with food, "Luxe Rural" or everyday luxury, at his Côté Mas Restaurant. Since 2012, these Côté Mas wines were first poured there, and became so popular that they became mainstream. Under the label, four sparkling wines, a white, rosé, and red are crafted for today’s marketplace, and are widely available for purchase worldwide. Côté Mas Jean-Claude Mas à Saint Hilaire Crémant de Limoux Brut, 60% Chardonnay, 20% Chenin Blanc, 10% Pinot Noir, and 10% Mauzac, is made in the traditional method. High elevation fruit is fermented in stainless steel vats to make the base still wine, then blended, and undergoes a second fermentation in bottle. Aged for one year upside down, the final dosage is added, and another year of aging before release. 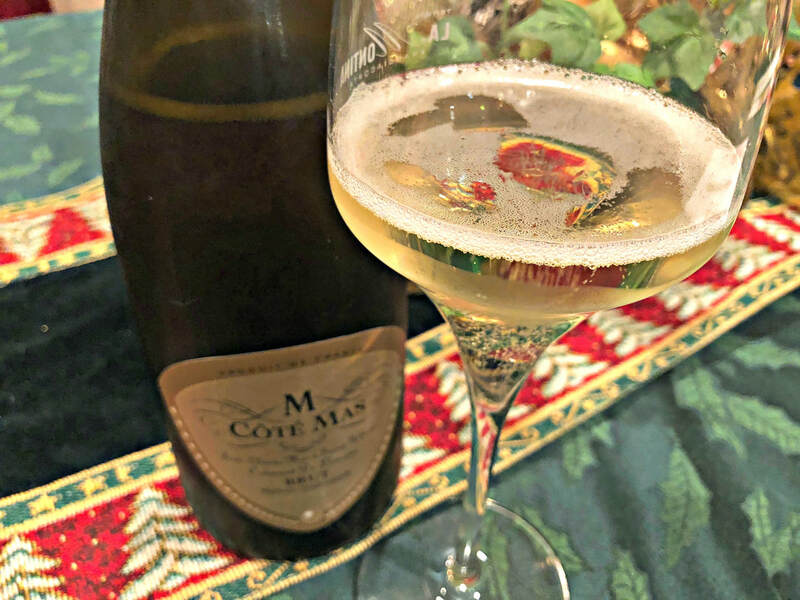 This is a very intriguing wine, reflective of the aging, intense aromas of lemon, flowers, a hint of honey, and a yeasty quality infuse this bubbly with a savory essence, so well balanced and definitely not fruit forward, it’s a perfect wine for any food. The boisterous bubble stream keeps pumping in the glass, elegant and delicious, a long finish beckons you to continue sipping and savoring beyond the first glass. Under $20, you’ll want to pop the cork on this wine for many different occasions and reasons, also available in a Sparkling Rosé version. Israel is undergoing a wine renaissance. Over 20 years ago, Israeli winemakers returned from classic wine regions abroad, armed with newfound knowledge and technology, ready to experiment and evolve their own wine industry. Today, almost 300 wineries, mostly smaller boutique operations, produce a dazzling array of quality wines. Although most of Israel is too hot and dry to grow high quality wine grapes, there are cool climate areas where they can thrive. The Golan Heights is one such region, situated in the northeast corner of Israel, a high elevation plateau, with diverse soils over a volcanic base and the coolest climate in Israel. International grape varietals are planted here today, since Israel’s ancient vineyards weren’t kept up, with a heavy emphasis on Cabernet Sauvignon, Merlot, and Chardonnay. Golan Heights Winery selectively cultivates 1500 acres of vineyards in this region. Head Winemaker Victor Schoenfeld, considered one of the most important winemakers in Israel, is responsible for crafting four premium brands, Yarden (the flagship), Golan Heights, Gilgal, and Mount Hermon. These wines range from sparkling wines to full-bodied reds, and reflect the care of precise viticulture and attention to detail of modern technology, yielding some of the best wines that Israel has to offer. The Yarden Blanc de Blancs 2009 is beautiful, an elegant 100% Chardonnay sparkler, with tiny persistent bubbles. Crisp and complex, with aromas of baked apple and yeast, it turns into flavors of green apples, lemon zest, white flowers, and toasty bread. It has a creamy texture, and finishes very long. Extremely high quality, it drinks well now and can age for a couple more years. Excellent as an aperitif or with food, it pairs well with cheese soufflé, fish, and chicken dishes, and retails for $34.99. And by the way, it’s Kosher as well. 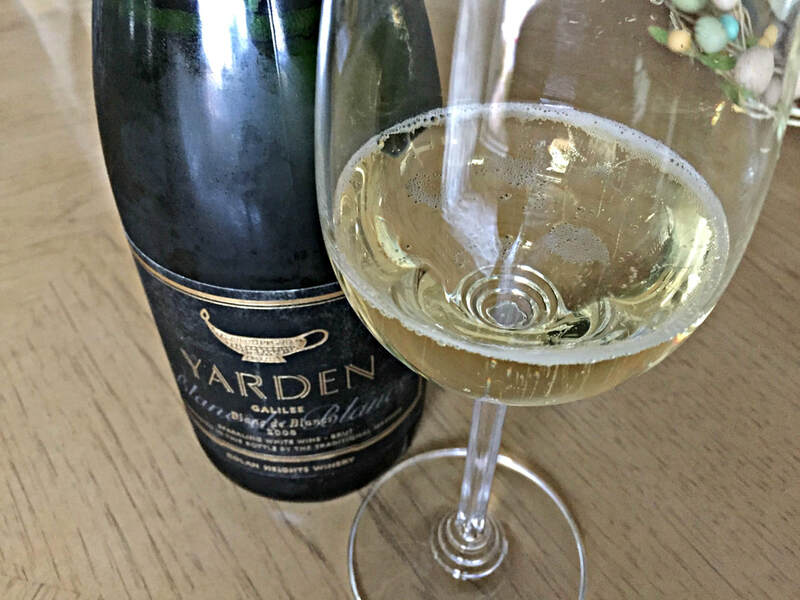 Also available, the Yarden Sparkling Rosé 2009, a blend of 70% Chardonnay and 30% Pinot Noir, it’s festive color channels strawberry fruit, red apple, lemon, flowers, and crusty bread. Made in the traditional method and aged for five years, it’s an elegant and fun choice for celebrations, and retails for $39.99.